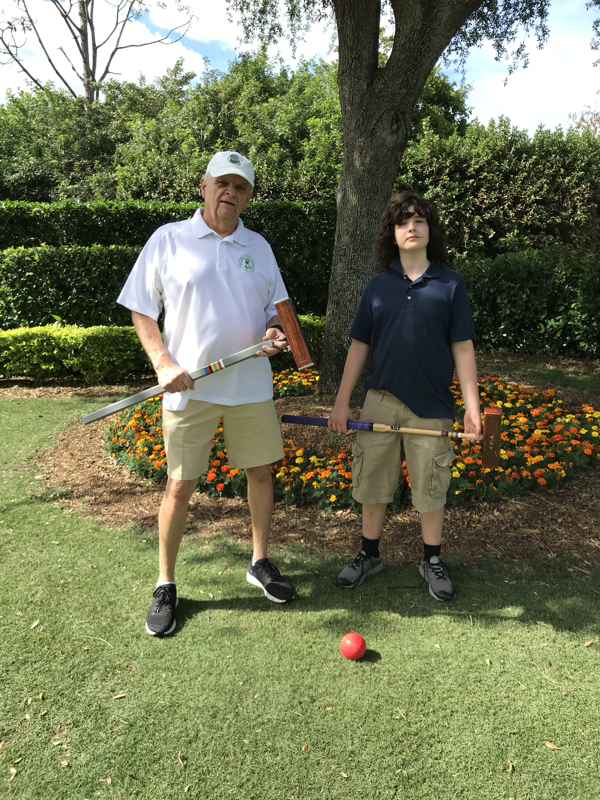 Celebration Croquet Association - WELCOME! LOTS OF FUN @ NO COST! 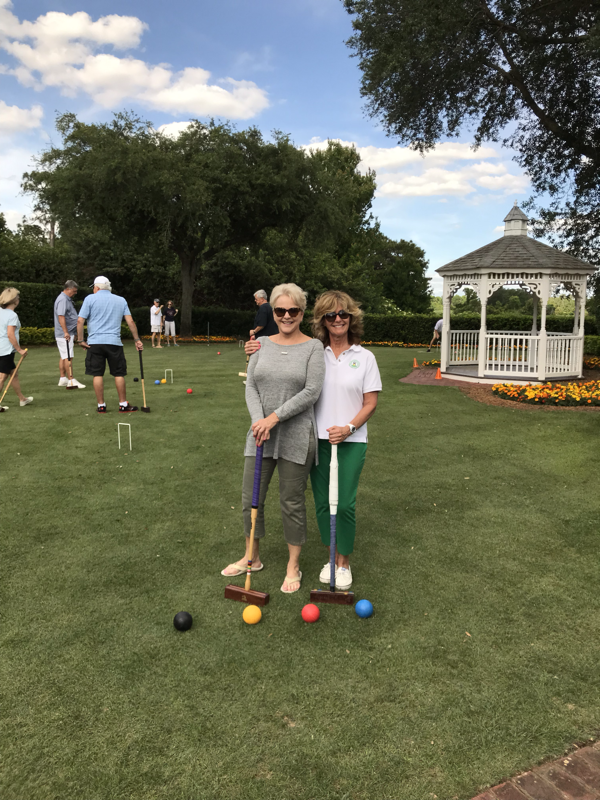 The Celebration Croquet Association is pleased to extend complimentary memberships to all Celebration residents. Members may schedule matches with other members, use CCA equipment, and receive invites to ad-hoc or scheduled matches. 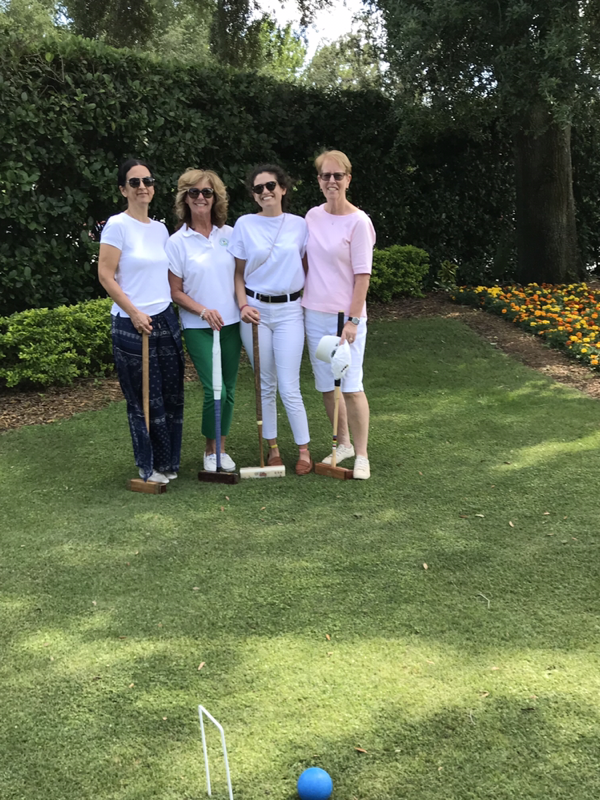 Golf Croquet (also known as One-Shot Croquet) and Six-Wicket (American Rules) Croquet is played at croquet clubs all over the world on six-wicket, one-stake, rectangular courts. 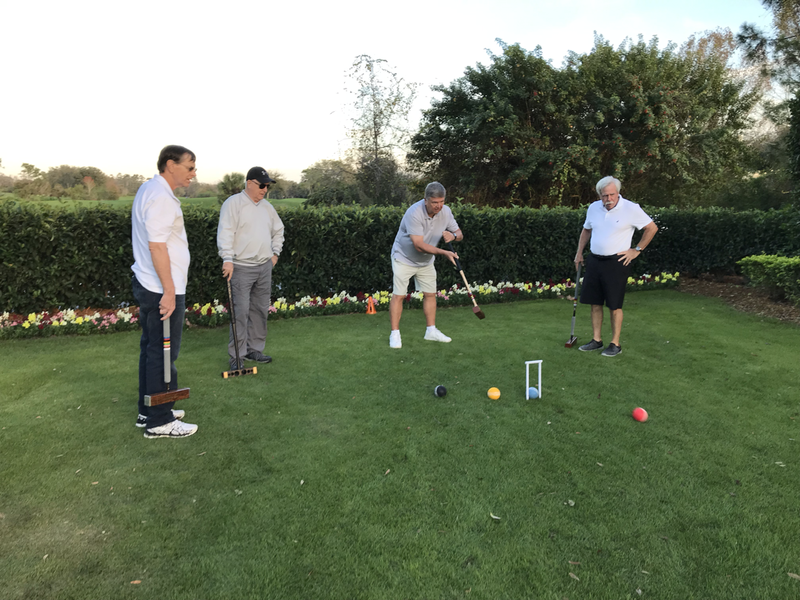 It calls for well maintained, level lawns cut very short and involves strategy and shot-making skills using only four balls and two or four adult players. 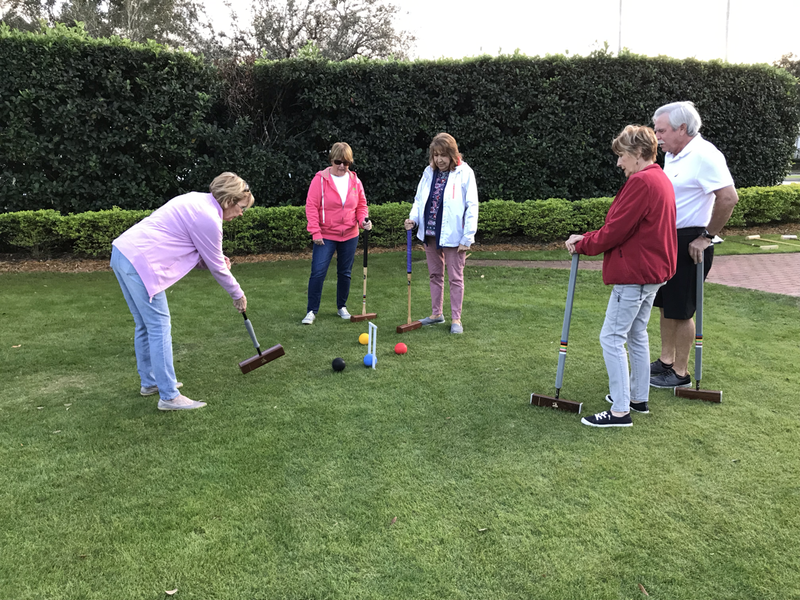 The home court of the Celebration Croquet Association is located at the Celebration Golf Club adjacent to the Windmill Restaurant, 701 Golfpark Drive, Celebration FL (407-566-4653). 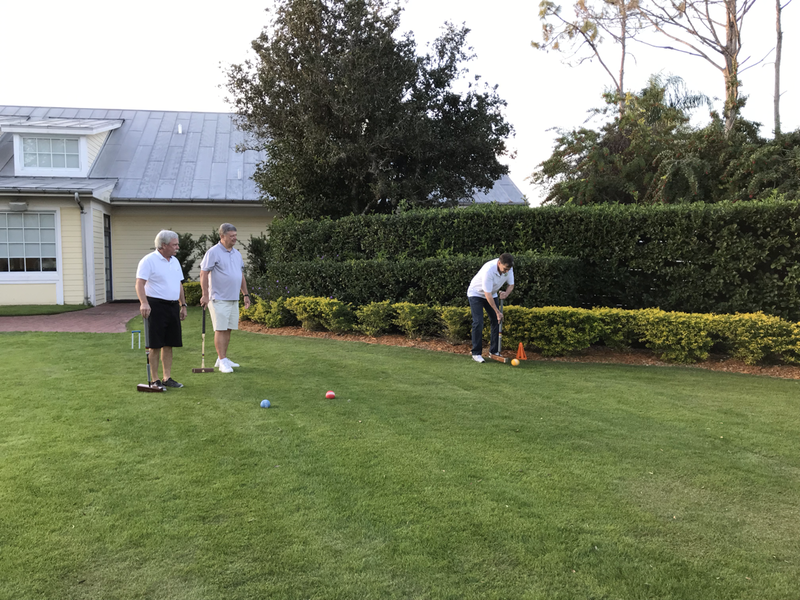 Golf Croquet is currently featured every Wednesday from 4-6pm. 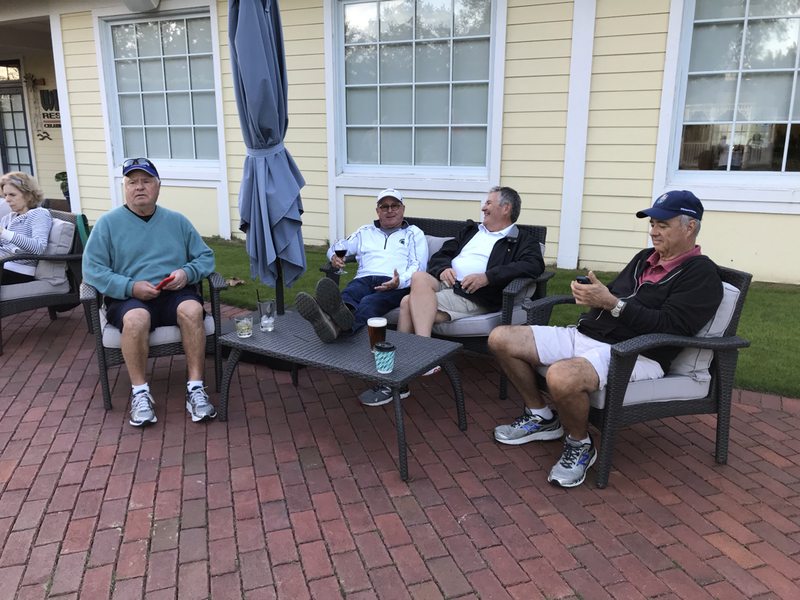 Come on out and join us for our “Wine & Wicket Wednesdays”. Additional court times and 6-Wicket play can be arranged upon request. Weekly emails to our membership list will provide schedule information. Newbie or Expert – It Just Doesn’t Matter! The use of bisques or mulligans, which are extra turns or do-overs based on the difference in handicap ratings, enables challenging competition among ALL levels of expertise. Their use, however, is always at the option of the players. 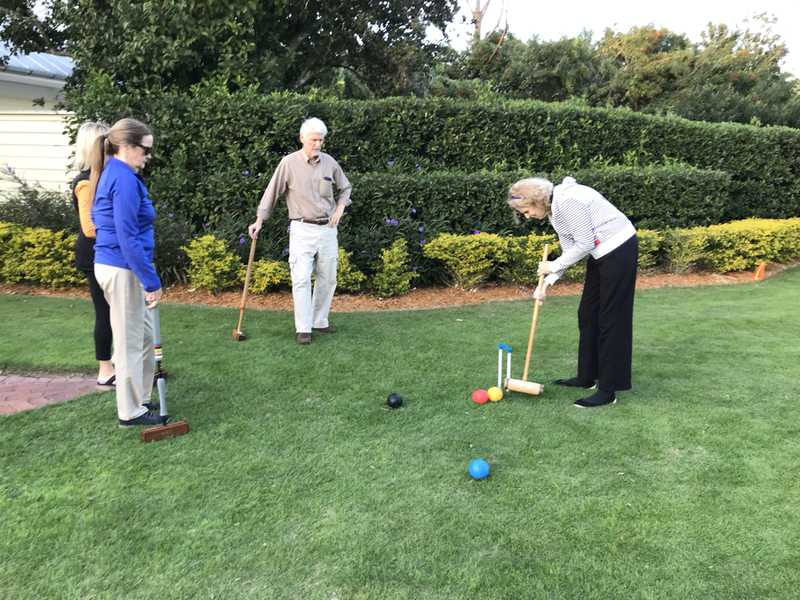 Send an email with your name and contact information to CelebrationCroquet@gmail.com . We will promptly contact you about the next opportunity for you to watch or play. There are no fees of any kind at this time associated with CCA membership. Your donation for the purchase of new equipment and perpetual trophies can be recognized through the dedicated naming of trophies and events. 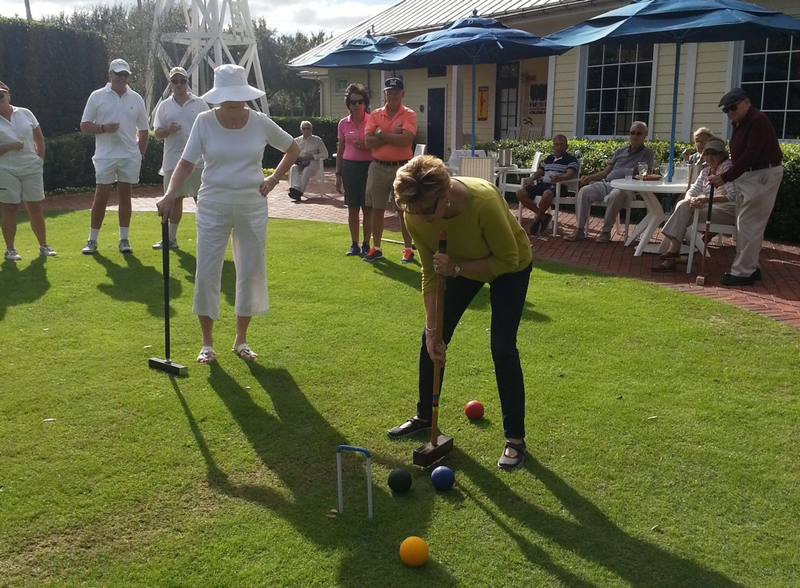 For more information please call Sharon Balsam at 407-970-3103 or email CelebrationCroquet@gmail.com.